Of cop for the world? 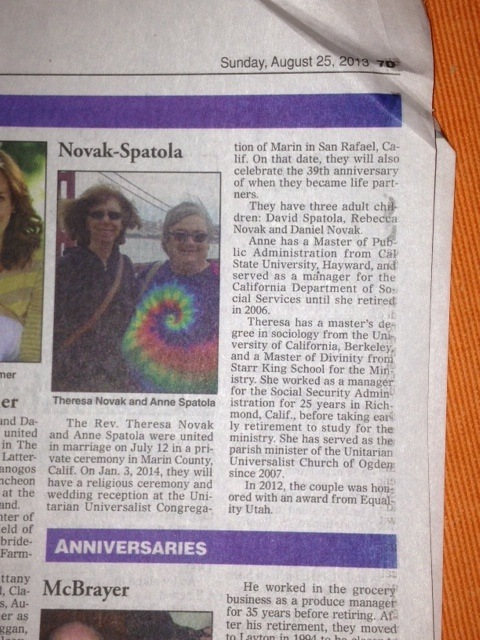 Our wedding announcement was printed in the local paper today. It is the first time, I was told, that a same gender couple had their wedding announcement published. This IS progress. As I wrote in an earlier post, (Click here) the recognition counts for a lot. I feel just a little more married today, even in Utah. Thanks, Standard Examiner! Avoid the hungry mouths of bears.